Without ever flaunting it, he was the pillar who gave new life to Montenidoli. He came to this land with Elisabetta and nine children in need of help, and, true poet that he was, immediately felt its magic. With his love and his hard work he reawakened the abandoned fields, the vines, and the bramble-choked olives. 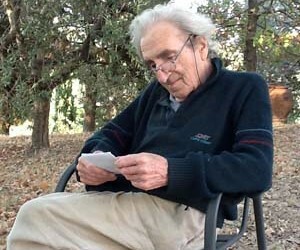 He chose to remain in the shadows, leaving to Elisabetta the task of bringing Montenidoli’s wines to the world. He was the great oak, giving warmth, strength and courage to all those who have worked, work, and will work for Montenidoli. A lover of life, an optimist, creative, ironic, reserved. 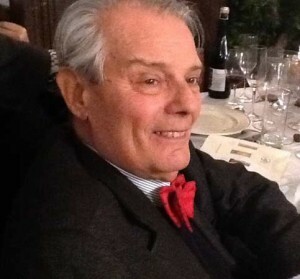 Those who knew him will always remember the beauty of his personality and his great heart, his sense of professional ethics, the altruism of an authentic Milanese who spoke dialect perfectly and loved to prepare the traditional dishes of Milan; "el risott giald", "ossbus", "mondeghili" and "busecca". Cesare Morini was the son of Alessandro Morini and Teresa Taccani. He came from a long line of engineers. His father was one and so was his grandfather. After finishing Scientific High School he went on to study civil engineering at the Polytechnic, where he graduated in 1959 and where he later returned as an assistant lecturer to teach Technical Architecture from 1962 to 1969. Working from the architecture practice which he opened in the same street where he was born, in via Santa Cecilia, Cesare was responsible for a vast range of engineering and architectural projects from domestic to industrial building, road construction and restoration. He designed industrial buildings for Profarmaco at Paullo, Interzuccheri at Melzo, Neopharmed at Bollate, eight plants for Eridania, the Kaduna Chemical plant in Nigeria, and the Alcanar cement works in Spain. In the public sector he worked on the extensions to the Liceo Classico "Parini", the via Larga, the city council offices and the Lambrate Cemetery. 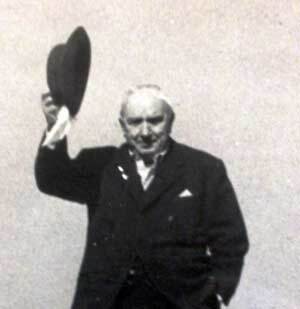 He constructed the Consorzio Agrario premises in Milano, branches of Mediabanca in the same city, Esselunga supermarkets, hotels and shopping centres. He built car parks, slip roads on the Milano-Brescia motorway, the Biella ring road and stretches of the Brennero motorway. He rebuilt the Melzi Institute at Tradate, dozens of homes in Milan, the Cascina Anna di Affori and much more. In his free time Cesare loved art - he collected Venetian engravings from the 18th century - and going to classical music concerts at La Scala. Amongst all this activity, he also found time to create the cellars at Montenidoli. "La ligne que je discerne en me retournant vers mon passé ne se terminera pas sur un arrêt brusque. Elle appartient déjà à l'emple faisceau que forment, à travers les siècles, les continents et les réligions et malgré la diversité des chemins suivis, ceux pour lesquels l'accroissement de leur connaissance par la culture simultanée de leur raison et de leur sensibilité a été ou sera leur véritable raison d'être et la source de leurs joies." Born 19th December 1894, died 11th February 1964. On graduating from one of Europe’s most prestigious schools, Paul Baudouin immediately enlisted in the air force, in which he fought in the First World War. He was a man of enormously rich personal culture who mixed with some of the most illustrious figures of the age in the fields of art, science and politics. Baudouin was constantly involved in the European and world issues of the period. He attempted to avoid the war between France and Italy in 1940 though a series of meetings in Rome with, besides the inevitable one with Mussolini, Eugenio Pacelli, a friend since his period as Papal Ambassador to Paris and who later, on 2nd March 1939, had become Pope Pious XII. Called to government in the dramatic period of the Second World War, he left his occupation in finance to serve his country for nine months. 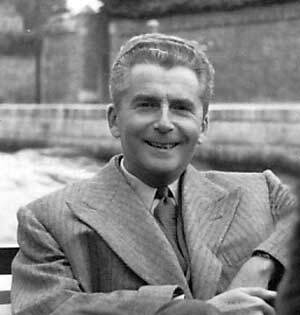 He followed the tragic events of the Nazi invasion and he was responsible for the armistice which brought an end to the fratricidal massacres of the war and with it the fanatical and dogmatic nationalism which scourged Europe in the twentieth century. Opposed, in any form, to the collaboration wanted by other members of government, he resigned and withdrew from public life. In his last years he published a collection of his thoughts, which despite the frenetic pace of modern life, are still surprisingly relevant today. He was responsible for Elisabetta’s choice of Montenidoli, when, with her grandmother Cesira’s inheritance, she came to this hilltop in search of a place for the education and freedom of nine children. Born 11th September 1894, died 26th February 1985. He was a force of nature, a man who knew no fear and who lived his 90 years in the forefront of events. A graduate in Latin, History and Philosophy he enlisted as a volunteer and fought for the freedom of Italy in the First World War. A captain at the front at the age of 24, a bullet took away four of the ribs that protect the heart, which for the rest of his life you could see beat visibly in his bare breast - a heart that was full of humanity towards his fellow man. He was a generous man who discretely helped many people in need (..”and let the left hand not know what the right hand does”) He was also a person of great culture who wrote Latin and ancient Greek and a bibliophile who created one of Italy’s richest and most important libraries. He worked for his country, without ever seeking the limelight. He sought to avoid the conflict between Italy and France prior to Italy’s entry into the Second World War. In the final, dramatic stages of the war he joined the Red Cross and helped victims of fascism escape into Switzerland. After the war, sought by an American Government which recognised his uprightness, he helped to rebuild the Italian economy. He succeeded in avoiding war debts to Egypt and in saving the property of the local Italian populace. He left us at the age of 90 with his spectacles resting on a page of St. Mark’s Gospel ; “ ...and when you are struck, turn the other cheek”. It is in honor of his name that Saint Vincent, the Martyr of Saragozza and the Patron Saint of the vine growers, is celebrated at Montenidoli every January.